There are many forms of acupuncture and they are as good for different treatments. When you consult a skilled practitioner, it is best to ask them what type of treatment and how they can effectively help you to recover or maintain good health..
Then what is acupuncture? It is a very traditional form of medicine that originated from China that dated back to 3000 years old and maybe longer. It is very different from Western medicine but rather based on the flow of energy in the body known as qi. Qi is in fact the life force of the body and when qi is disrupted, a person may become ill and encounter pain. Acupuncture will restore the flow of qi and improve your overall condition through easing of pain and illness. 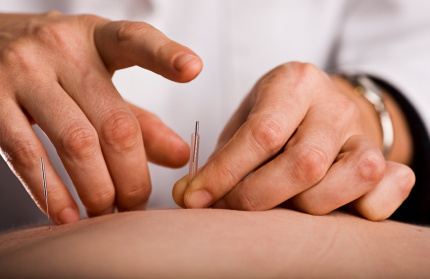 In essence what is acupuncture are the types of methods used to restore qi. Acupuncture is actually needle piercing, indirectly translated. The restoration of qi will be through the insertion of tiny needles in the meridian of your body. The point known as acupoint is specific to each treatment and the acupuncturist is well trained to identify the correct way to insert the needles. Aside from insertion of needles into the acupoints, other forms of treatments such as small pulse of electromagnetic energy, heat, suction and friction are usually combined to provide a complete cure. One other common treatment is pressure acupuncture. It is done to stimulate the points to cause certain reaction. In essence, through the stimulation of specific points, body balance is restored and the qi flows smoothly again, hence good health and free from pain. Acupuncture is highly regarded and encouraged throughout the world and can help your overall well being.